The plans of an Izard County man, 31-year-old Maxwell Gregg of Oxford, to flee the area in his neighbor's vehicle failed when the truck would not start a short time later. 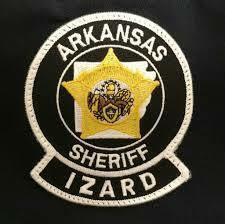 According to the probable cause affidavit, an Izard County Sheriff's deputy was dispatched to a residence along Whispering Pines in Oxford on Dec. 10th regarding a stolen truck. A woman identified as the Oxford man's roommate told the officer Gregg had stolen a truck and left it parked in their driveway. She reportedly told the officer the vehicle belonged to her neighbor. When she asked Gregg why he was in possession of the neighbor's truck, he allegedly told his roommate he was going to flee from his pending parole violation, had taken the vehicle and wanted her to flee with him. The woman refused to accompany Gregg, he attempted to start the truck, but could not due to a faulty battery. Gregg then left their residence on foot, telling the woman he would be close by. The woman said she was scared to have the stolen truck in the driveway and began trying to locate the owner. She tried to start the truck to return it to the owner, but was unsuccessful, leading her to contact the Izard County Sheriff's Office and report the incident. Gregg was arrested on Dec. 11th and charged with a felony count of theft by receiving . His bond was set at $5,000, and he is set to appear in Izard County Circuit Court later this month.